Bump up your salad with Korean barbecue. 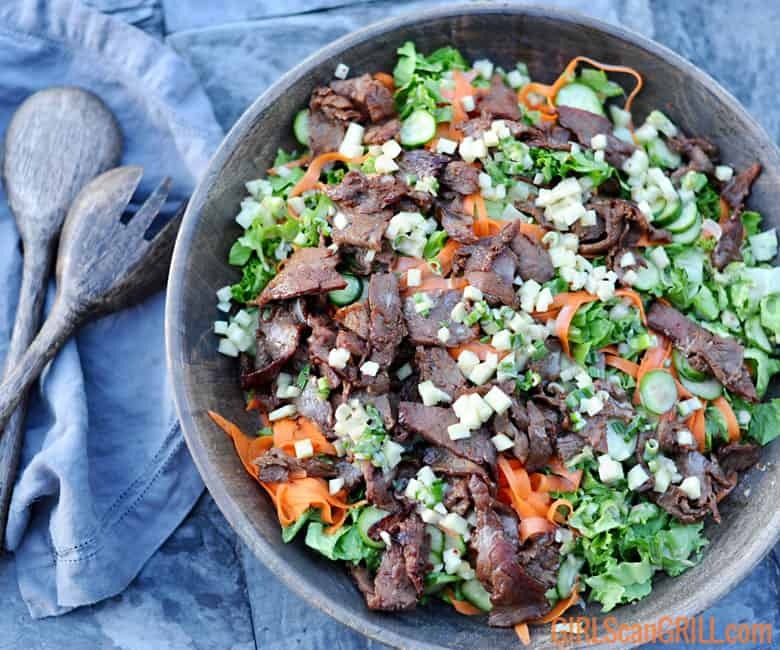 This beef bulgogi salad with pickled vegetables is packed with rich umami flavors and a sweet and sour crunch. Disclosure: This post is sponsored by the Certified Angus Beef® brand in conjunction with a social media campaign through Sunday Supper LLC. All opinions are my own. Having lived in South Korea for a couple of months, I gained an appreciation for the way Koreans balance rich barbecue meats with tangy sides. It’s similar to how Americans combine barbecue and cole slaw, but on a completely elevated level. I attended some culinary classes in country, and learned the techniques of bulgogi and banchan. Bulgogi translates to fire meat AKA barbecue, and banchan are the small bowls of side dishes that are served alongside the meat. Banchan sides are way different than baked beans and potato salad. In my experience, almost all of them are vinegar-based veggies with a kick of red pepper. Independently, they push the boundaries of sweet and sour, but when you enjoy them with a bite of meat, all of your tastebuds go into harmonious overdrive. 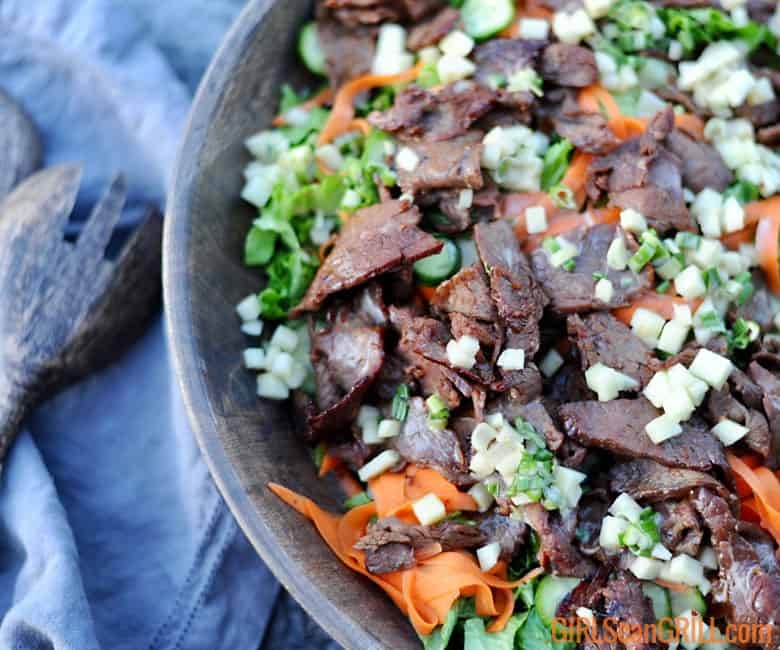 This beef bulgogi salad is inspired by that harmony. 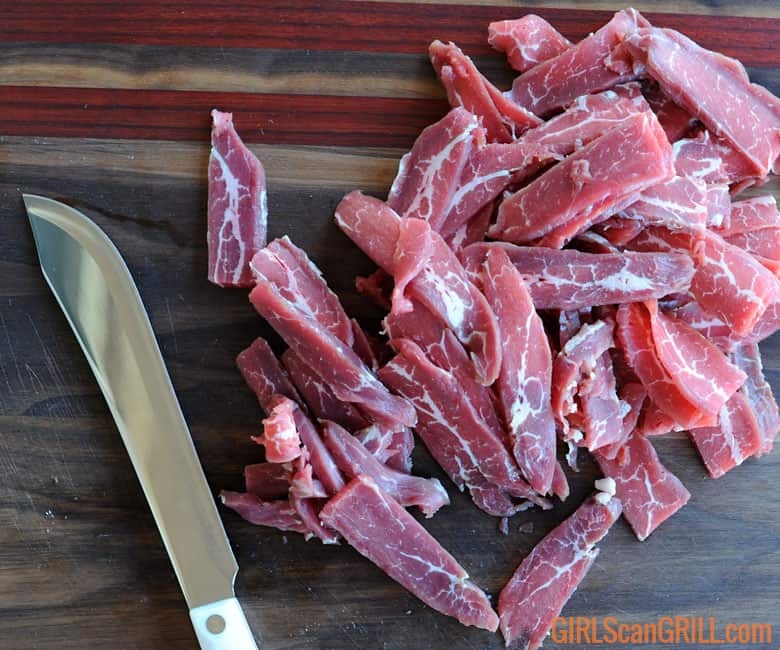 In order to make bulgogi, you need to start with very thinly sliced pieces of meat. 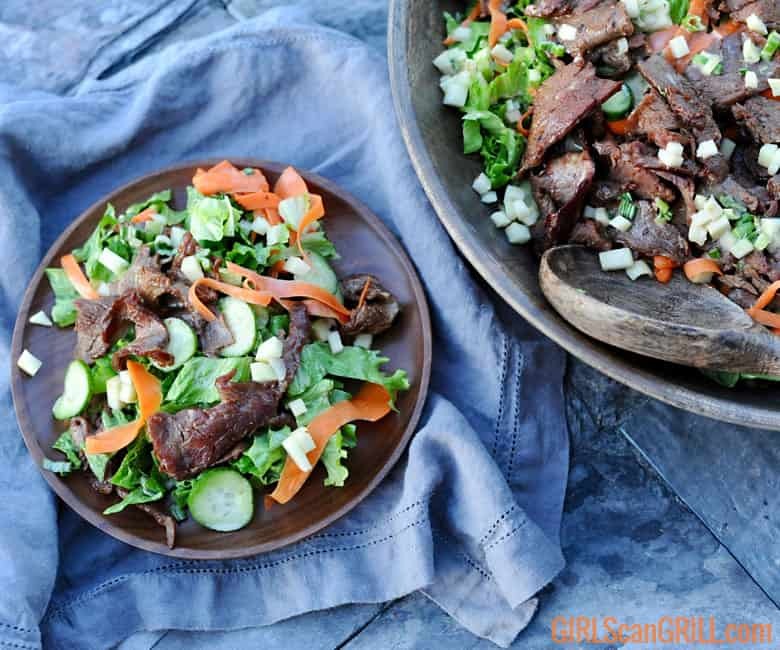 Beef bulgogi is usually made with ribeye or sirloin, but I’ve found that flank steak is often a more affordable option that is equally flavorful, especially if you select Certified Angus Beef® brand flank steak. 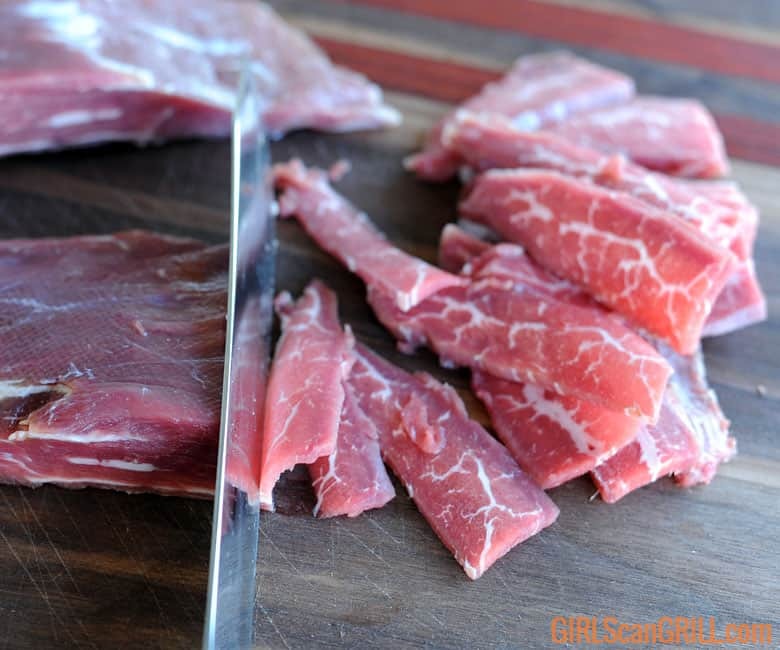 To create a thin slice, freeze the meat for about 30 minutes. When the meat is semi-hard, but still somewhat pliable, your knife will glide right through it. Before cutting into it, look for the direction of the grain. You want your knife to go against the grain. This means, if the grain is going vertically, your knife should be placed horizontally. 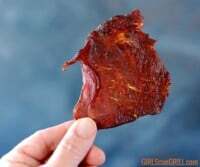 That way, as you bite into the cooked meat, the grain will separate naturally ensuring a very tender bite. 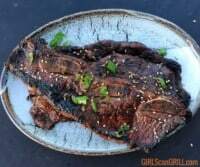 After the meat is sliced, place it in a large bowl, and add a bottle of bulgogi marinade. You should be able to find it in the Asian section of the grocery or online. 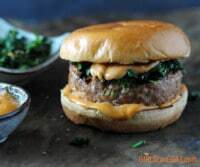 Make sure that every piece of meat is coated, and refrigerate it for 30-60 minutes. If you’re watching your sodium intake or prefer something without MSG, I recommend using my homemade bulgogi marinade. But if you’re in a hurry and that stuff doesn’t matter, the bottled marinade is really good. I use it all the time. This salad is so beautiful because it has varying textures and flavor tones. The beef is soft and melts in your mouth with a rich umami essence, while the pickled vegetables are sweet, acidic and crunchy. My basic brine is 1 cup water, 1 cup vinegar and 1/2 cup sugar. Because we’re making a Korean salad, I also added gochugaru – Korean red pepper flakes. If you can’t find gochuaru, aleppo pepper is a great substitute. Or, you could use crushed red pepper flakes, but gochugaru is smokier and finer, and definitely more traditional. You also have the option to leave out the pepper all together, but I promise it’s not that spicy. 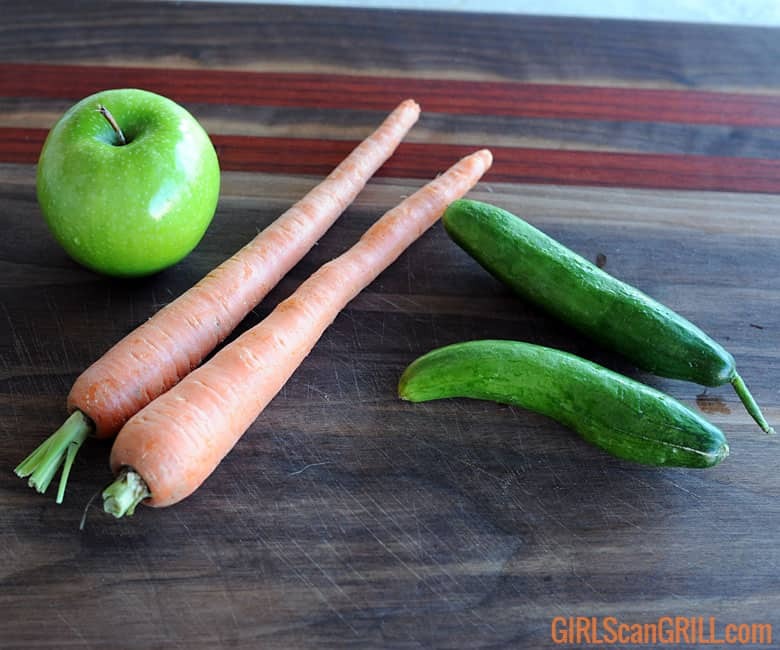 When it comes to the veg, this recipe calls for green apple, carrots and pickling cucumbers. Pickling cucumbers are not pickles. They are small cucumbers in the produce section that are used to make pickles. They’re about 6 inches long and 1 inch wide. Slice the cucumbers very thin, and place them in a bowl with one-third of the brine. For the carrots, simply use a vegetable peeler. First, remove the skin of the carrot and discard that. The skin is not as sweet as the inside. Place the peeler in the middle of the carrot, and run it down to the tip. Repeat, rotating the carrot, until it gets too thin to control. Flip the carrot over, and repeat on the other end. Place these ribbons in a bowl with brine. You could combine them with the cucumbers, but their orange color will bleed into the brine. 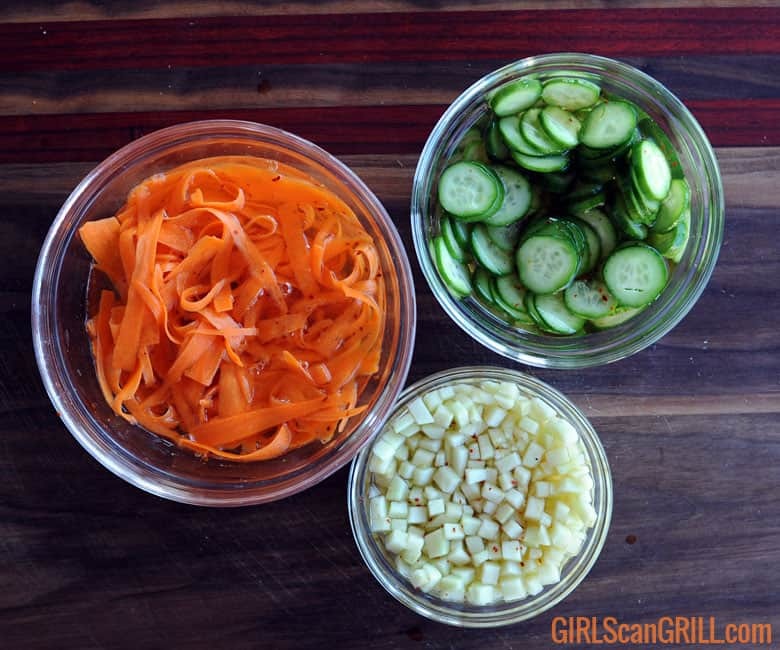 Keeping them separate makes for a more vibrant salad. For the apple, we’re going to do a brunoise cut, which is a fancy French word for finely diced. First, remove the peel and core. Then, create 1/8-inch thick slices. 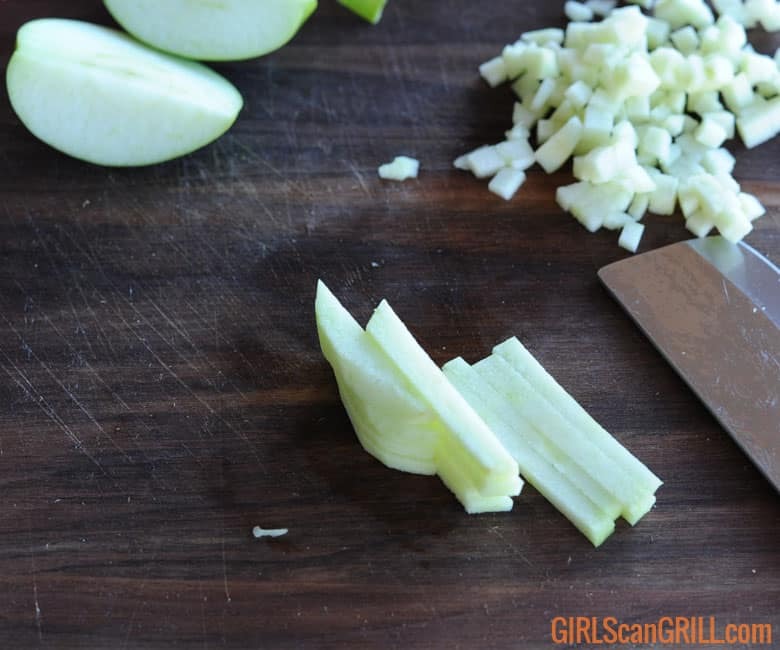 Turn those slices on their side, and slice them again to a 1/8-inch thickness. You’ll have julienned the apple at this point. 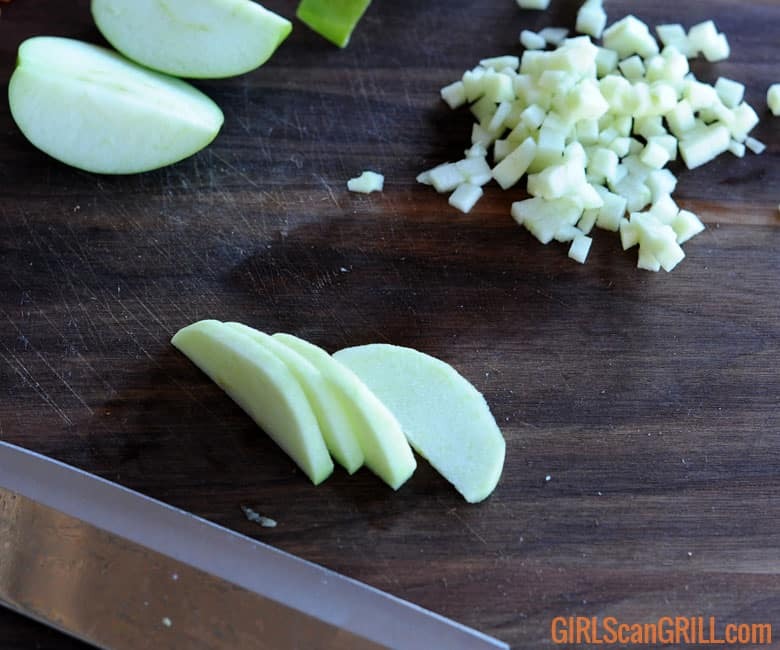 Next, turn those strips, and slice again to make little squares. Place these in a bowl with the remaining brine. As they soak up the liquid, they will provide pops of sweet acidity throughout the salad. I chose green leaf lettuce for this salad, because it’s vibrant and mild. It’s leaves are a little more delicate than romaine, but hardier than spinach or arugula. 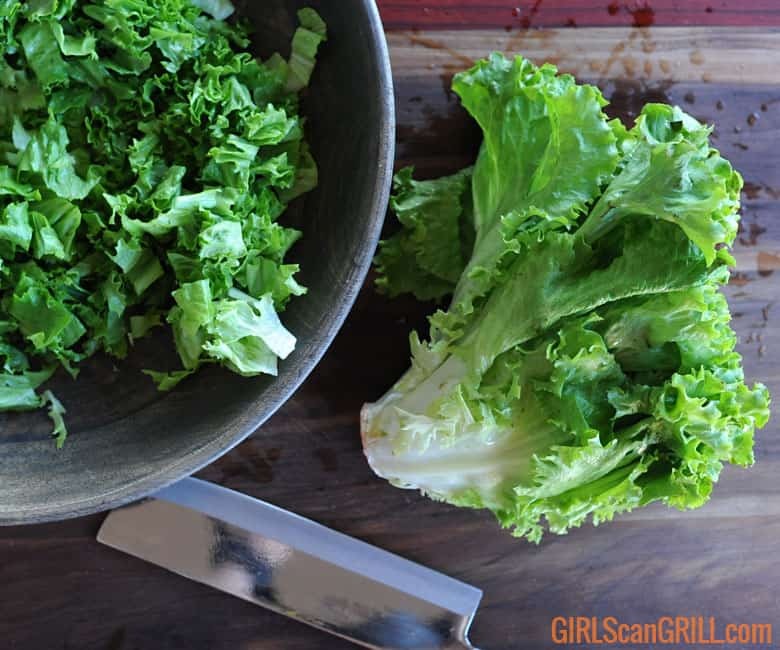 Chop the lettuce into bite-size pieces, and place it in a large serving bowl. You could actually enjoy the salad without dressing, because the other ingredients are such superstars, but this creamy honey soy dressing pulls it all together by adding a touch more umami and bright green onions. You most likely don’t have a Korean barbecue grill at home, and that’s okay. You can recreate the Korean style of cooking by using a vegetable basket. 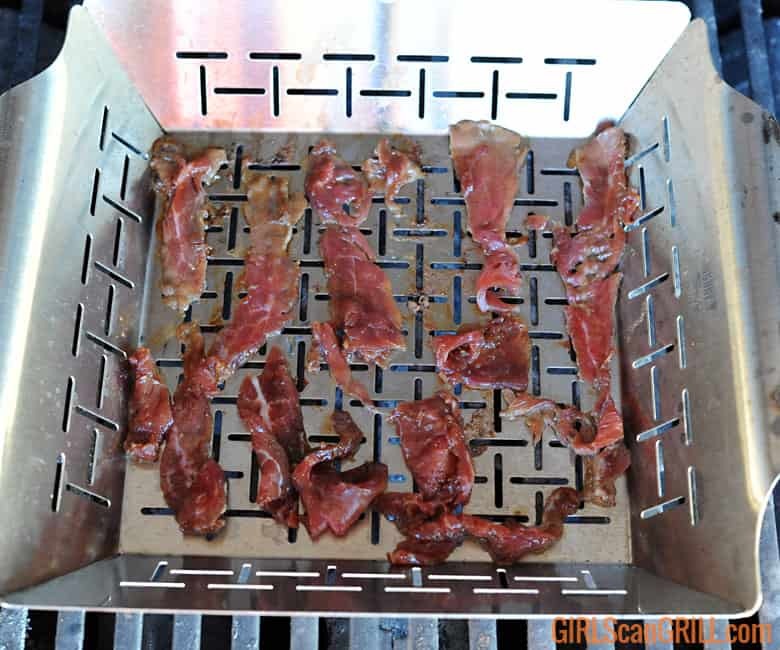 The basket allows the thin meat to cook without it falling through the grill grates. Because there are holes in the basket, as the meat drips onto the burners, you’ll get that natural barbecue flavor. You can also cook the beef in a skillet. Either way, be sure to cook it in batches. If you overcrowd the pan, the beef will steam. Your goal is to create a nice caramelized char. 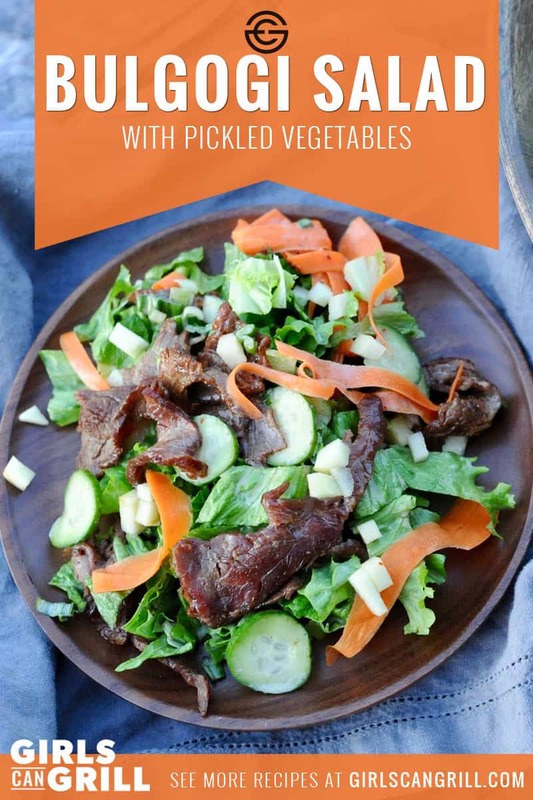 Once the beef is cooked through, which only takes a few minutes, assemble the salad by adding the colorful pickled veggies. Use a slotted spoon or tongs (or your hands). This way most of the brine stays in the bowls. You want a little carryover brine to help season the lettuce, but not so much that the salad becomes soggy. Then, add your beef bulgogi. 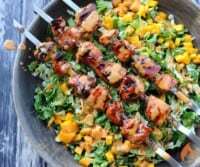 Drizzle with honey soy dressing and serve. Freeze the steak for about 30 minutes. Remove from the freezer and slice into 1/8-inch thick slices, against the grain. Place the beef in a large bowl. Pour in the bulgogi sauce. Toss to coat. Allow to marinate for 30-60 minutes. Chop the lettuce. Place in a large serving bowl. While the beef is marinating, make the pickling brine. Heat the water, vinegar, sugar, salt and pepper flakes in a sauce pot, until dissolved. 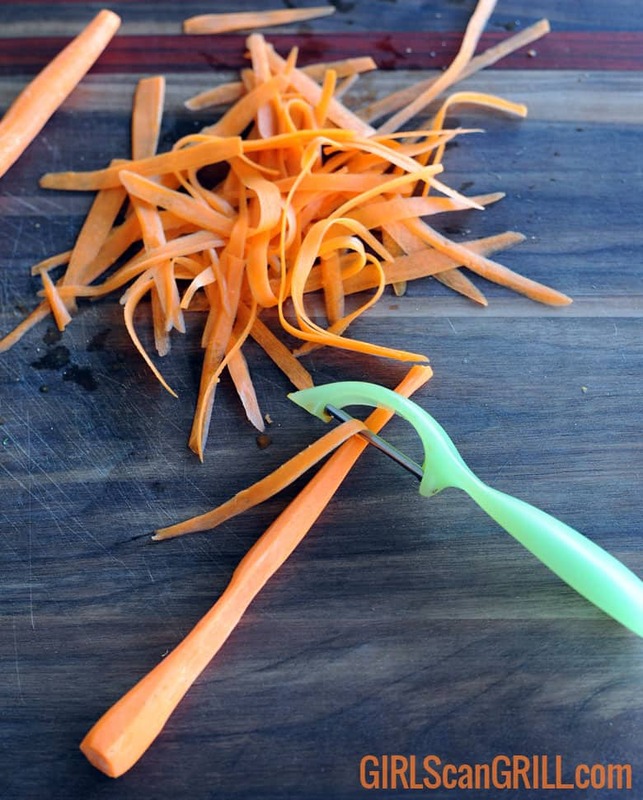 Using a vegetable peeler, peel the carrot. Discard the outer skin. Continue peeling to make ribbons. Place in a bowl. Add one-third of the brine. 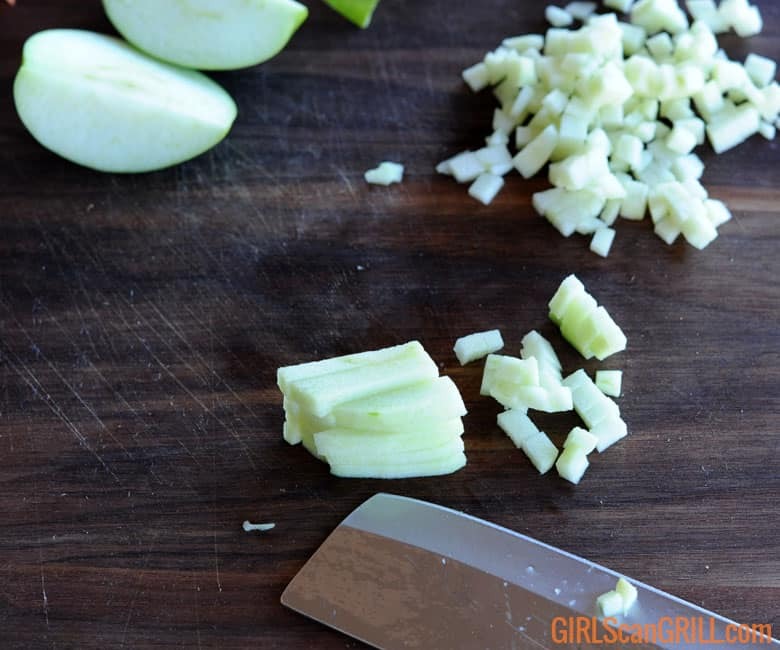 Thinly slice the cucumber, place in another bowl with more brine. Peel and core the green apple. Dice the apples into very small cubes. Place in a bowl with the remaining brine. 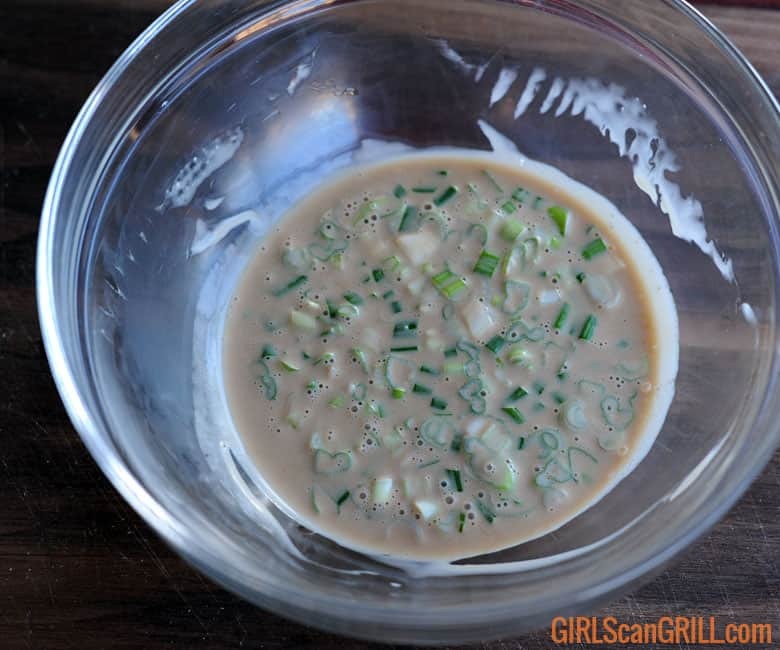 Prepare the dressing by whisking together the mayonnaise, vinegar, honey, soy sauce and sesame oil. Fold in the onions. 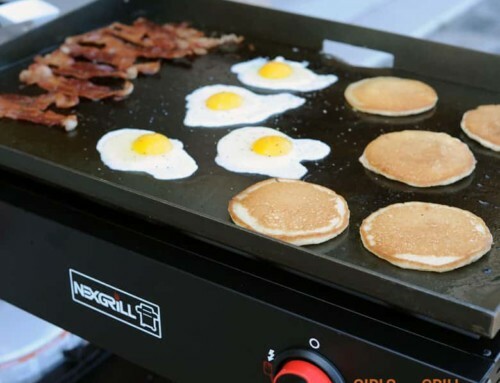 Heat the grill to high. Place a veggie pan on the grill. Working in batches, add the beef to the veggie basket. Grill for 3-5 minutes, until the beef is caramelized. Toss occasionally for even browning. Drain the brine from the vegetables. 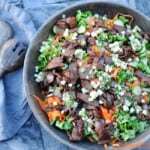 Assemble the salad by adding the vegetables and cooked beef. Drizzle with dressing.